The University of California — Los Angeles is a public university with a total undergraduate enrollment of 30,800. According to US News and World Report, it is ranked the 21st best national university in the US. It is a highly competitive university for admission overall, with only an 18% admission rate. It also features a flexible online and on campus MBA program called FEMBA Flex offered through the UCLA Anderson School of Management. There are four campus visits per quarter on the weekends and the rest of the program is completed online. Graduates of the MBA program can take advantage of a variety of excellent services to further their business career. First, the career services center offers career coaching as you approach graduation. You are provided personalized, one on one coaching so that you are put in the best position to get a position that will help you to achieve your business career goals. There also are thousands of MBA graduates who are active in the alumni program. They can help people in the program or recent graduates to get further mentoring and career help. Also, the MBA program invites recruiters on campus during students’ second and third years for internships and full time opportunities. The executives in residence program offers students high level, business expert advice in various business and management fields: banking, finance, engineering, marketing, technology, accounting and more. Industry leaders are available to meet with flex MBA students one on one to share insights and knowledge about their specific areas of business expertise. Executives in residence also offer coaching and constructive criticism to students who want to gain in their current field or explore a new one. The university’s central location in Los Angeles also provides excellent opportunities to secure employment and internships for graduates and current students. One of the most important things to look for in an MBA program is program accreditation. Accreditation of the MBA program and the business school is important because it tells both you and employers that your degree is of high quality. You want to know that you have learned what you need to succeed in business and management, and this is important for employers to know as well. The UCLA Anderson School of Management is accredited by the AACSB, which is the most prestigious business education accreditation body in the world. 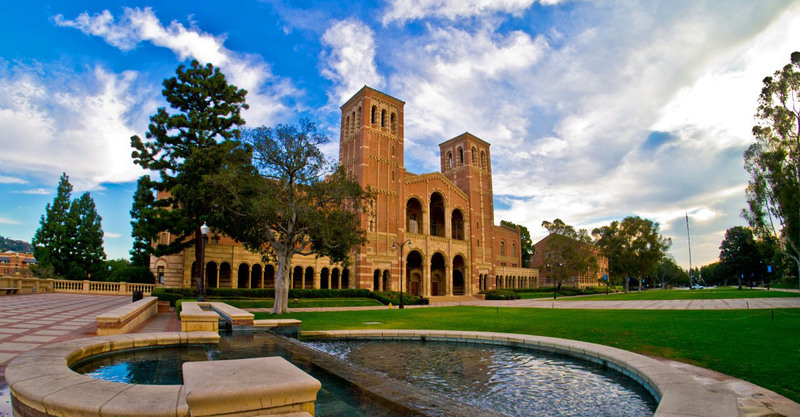 You only have limited options for the UCLA MBA program. The most popular offerings are the full time and part time MBA programs on campus. The flex MBA program offers some online options, but you still must come to campus every three weekends. Students who live outside of California will probably find it difficult to attend the UCLA program. Coming to campus that much is challenging for any full time professional with a family. UCLA’s MBA program has an excellent reputation for quality and affordability. Not surprisingly, getting admitted is difficult. Current data shows there were 3314 applications received last year and only 360 were admitted. It is of course good that a program is selective; it generally indicates high quality. But many students will find it challenging to get into this program. You must submit GMAT scores to be considered for admission. Also, the average GMAT score of admitted students is a competitive 716, with the middle range between 680 and 750. So, you will have to really study for the GMAT to have a chance to be admitted to this program. This is a highly competitive MBA program, but the average years of work experience for students is only five years. This indicates most of the admitted students are only a few years out of their bachelor’s program. Many highly rated programs tend to have students with many more years of business experience. Acceptance rate at the university overall is only 18%, meaning that fewer than two out of 10 applicants are accepted.